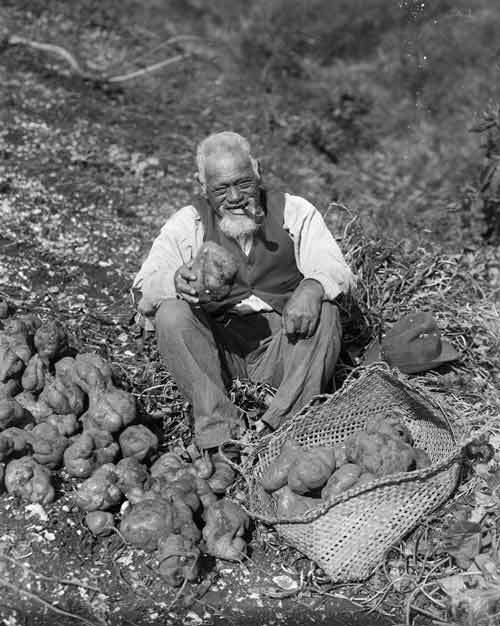 This elderly man is sorting kūmara tubers, in the early 1900s. This is one of the larger varieties, which were introduced by Europeans in the 19th century. The earlier varieties were much thinner, about as thick as a finger.